Auctioneer James Heaslip will leading the afternoon's proceedings and is anticipating a busy afternoon. There is a diverse mix of properties with something to suit all buyers and the team have already seen huge numbers at the open viewings. “From starter homes in Loughrea to walk-in investment properties on the Docks, a stunning apartment in Greenfields, and a doer-upper in Monivea, we have a range which will attract all types of buyers, from investors to owner occupiers," he said. James Heaslip is eager to highlight that the company's success is ultimately down to knowledge of the market. 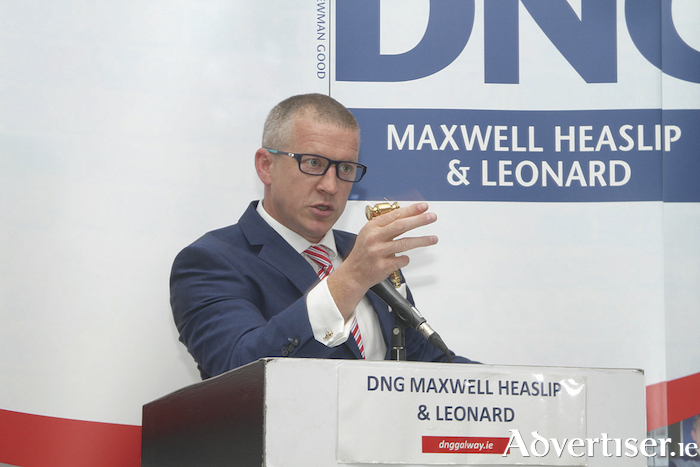 “We put a lot of effort into our auctions and work closely with our DNG colleagues all along the west coast in order to value each property correctly, and it pays off," he added.